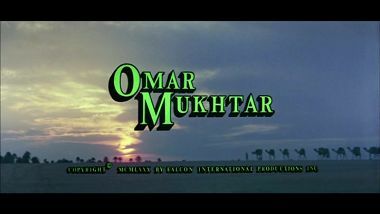 The movie Omar Mukhtar - Lion of the Desert, which was co-produced in 1981 by the USA and Libya, is not well known nowadays, but deserves to be rediscovered. 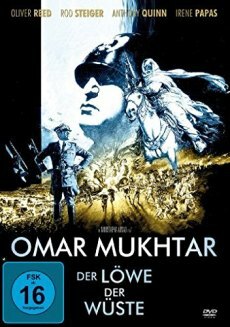 Anthony Quinn plays the (in Germany) title-giving leader of Libyan rebels who defended themselves against the Italians invading their country at the end of the 1920s. 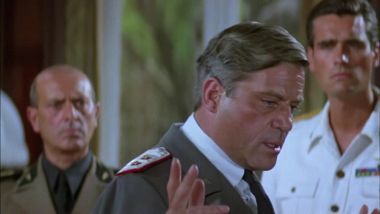 With Oliver Reed, Rod Steiger and Sky du Mont you can still see some familiar faces and the elaborately staged battles are spiced with a pleasant hardness. 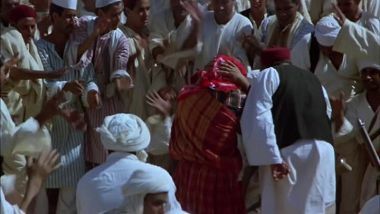 It is also interesting that the film was financed by Libya's head of state Muammar al-Gaddafi and was banned in Italy in 1982. 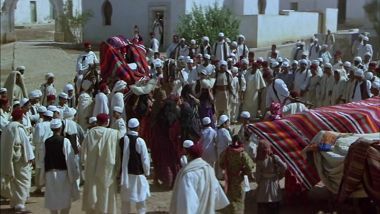 It was not until 2009 that the film was first shown on TV during a state visit by Gaddafi in Italy. 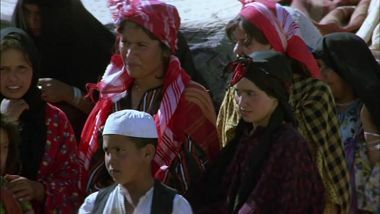 In Germany, the film was shown with FSK 12 in the theatres and an alleged running time of around 150 minutes (i.e. ~ 144 minutes in PAL). Thanks to some bloody violent peaks, the scissors were presumably put on exactly there but on VHS one got to see the uncut version with 156 minutes in PAL and now with FSK 16. However, a comparison with the version commonly used in America shows that this is a somewhat reworked version, which we have called "European version" here. 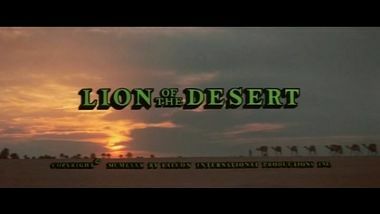 It runs about 10 minutes shorter than the "US version", but it is not only about pure cuts: Even a little exclusive material can be discovered, so that one can definitely speak of an uncut film version. With regard to the reductions responsible for the runtime difference, it can be said that a large part is due to simple tightening. 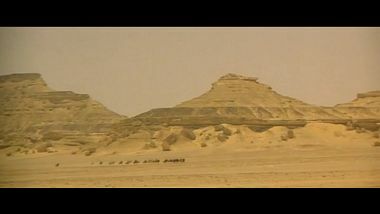 Often landscape shots or basically redundant shots within a longer montage were simply removed, usually without dialogue. With the cuts with conversations again this is not worth further the speech also contentwise usually. The biggest part is again a longer cut in the second half, which is a bit more interesting. 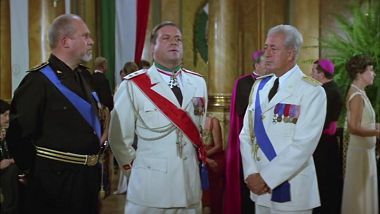 In a so to speak additional episode of the conflicts the Italians reach for toxic gas and this without question more controversial part was coincidentally completely left out of the European version. Of course one can assume censorship here. It is also noticeable that the European version also contains exclusive material. However, a clear pattern is not to be recognized here. On the one hand, it is very often only a matter of short moments at the beginning/end of scenes, which could simply be template errors with the US master. On the other hand, there is often some alternative material, mainly reaction shots - but a thematically different line is not recognizable. 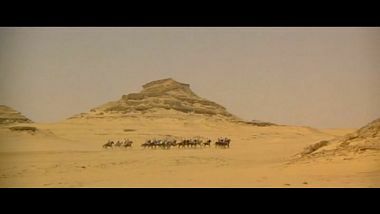 There are also a handful of longer scenes (up to about one minute riding through the desert for example), but also not too spectacular. A few small re-cuts for dramaturgical reasons are just as little worth mentioning. All in all, it is difficult to give clear preference to a version. The absence of the toxic gas scene leaves a stale aftertaste but otherwise you can also live well with the European version. 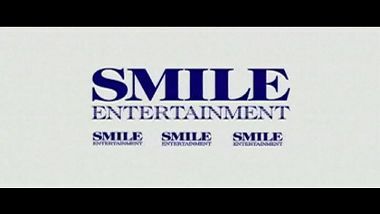 The European version (= German DVD) contains an additional logo at the very beginning. As compensation, the landscape shot starts approx. 4 sec earlier in the US version. In general, the music in the background deviates during the opening sequence, in the US version a bit more calm. The soft transition to the next shot turned into a hard cut. and immediately afterwards another title insertion. Note: The picture format of the US changes to 16:9 or 1,78:1. after the preamble. The next distant credits cross-fade. The subsequent shots will be played even faster in the European version. It's hardly noticeable, because only grass is blowing in the wind - so you could handle more credits a bit faster. The soft crossfade effects were also removed. Before the explosion occurs, the first shot right after the credits starts earlier. 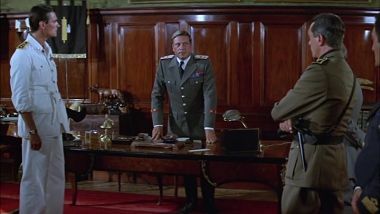 As compensation, the subsequent shot of General Graziani is a little longer in the European version. The plate on the ground slightly longer. One student remains behind, for which Omar asks what he would be waiting for. He walks away grinning and you can see a view of the people from above. The two women are still sitting at the door. 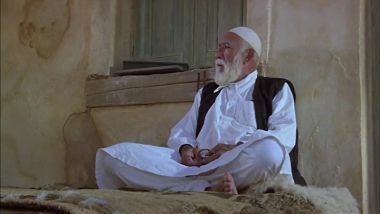 People used to sit down at the door and the woman pours tea - when Sharif El Gariani takes the pot out of her hand, the European version begins there. 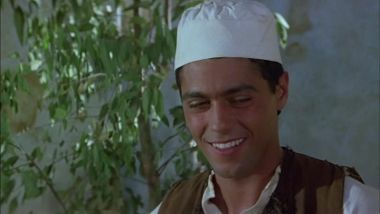 Before Omar comes out the door again, a scene in the European version is insignificantly longer. The following mini-deviations, where only end-/beginning of shots are marginally longer, are no longer illustrated. 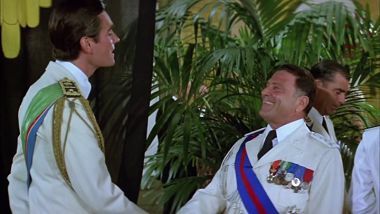 Prince Amadeo meets Colonel Diodiece at the ball and greets him with a few nice words. 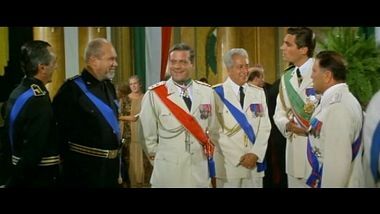 After some small talk, the conversation becomes a little more serious: Diodiece admits that they would not really stick to the Geneva conventions in Libya, but Amadeo doesn't want to hear about it. 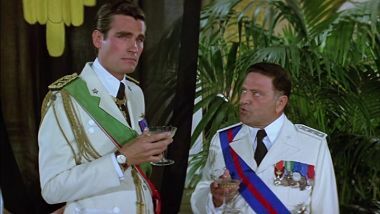 Alternate shot before Amadeo starts chatting up Graziani. 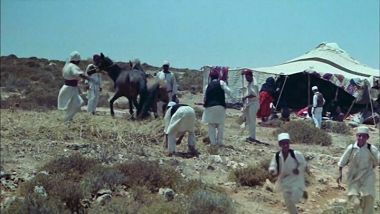 The European version contains two additional shots of the horsemen. In the European version, Omar walks away insignificantly longer. 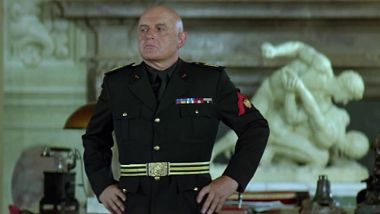 General Graziani's address to his subordinates is a little longer. 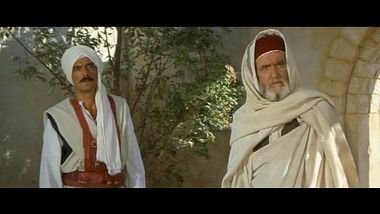 He thinks that they must proceed with the appropriate severity in their struggle, whereupon Amadeo interjects that the Bedouins would die in their prisons. 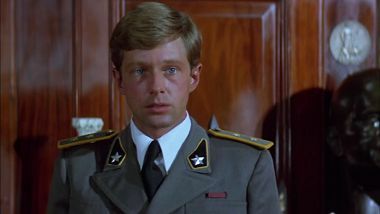 The young Sandrini interjects (as in preserved scenes in other places) that they would only breed more rebels in this way. 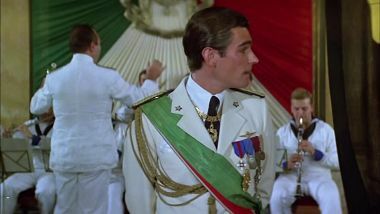 Graziani remains steadfast. 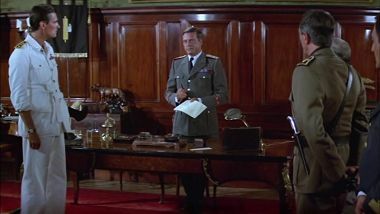 Subsequent to the execution scene, Tomelli makes a further step aside in the European version.